The Royal is reporting this morning and no doubt things will just be fine. It is hard to miss if you are shooting fish in a barrel. 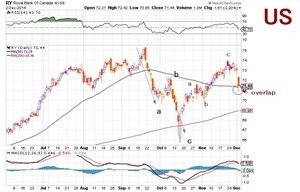 We think the stock is overbought but today that is not the subject of this blog. The two charts above are, of course, both of the Royal Bank. The difference is marked in a very subtle way in the upper right-hand corner, using the currency signs for the Canadian and US dollar. 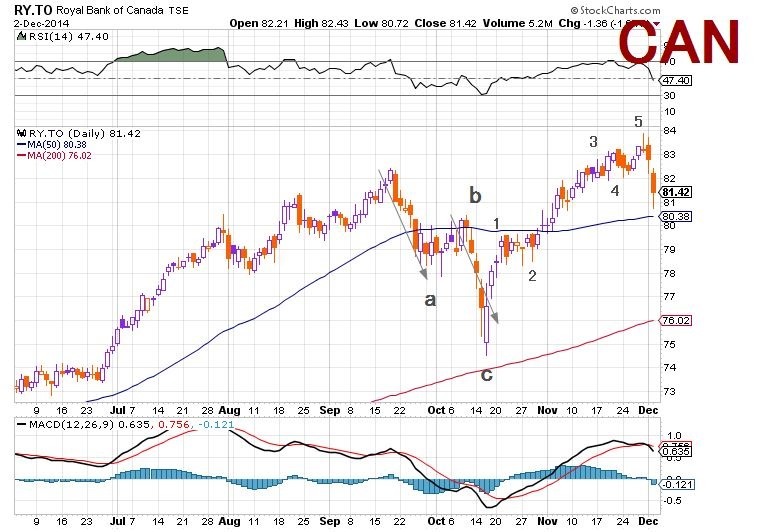 Interestingly in Can $ terms one would be inclined to count an a-b-c down followed by a new impulse wave up. 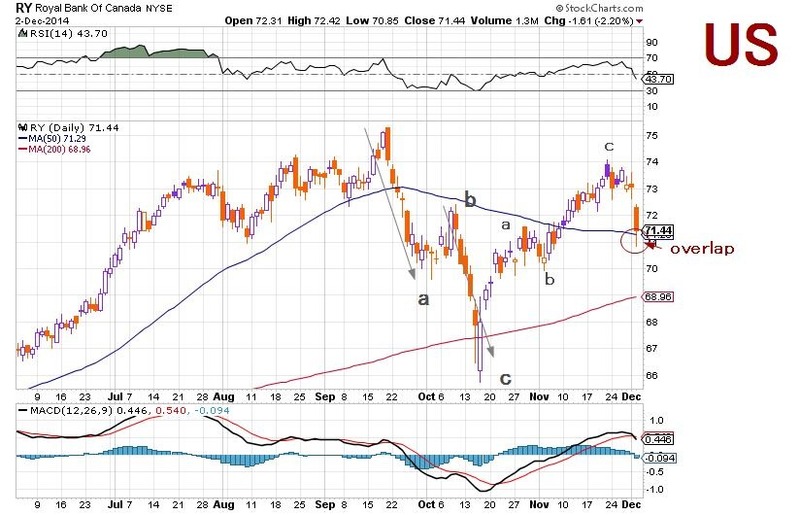 On the other hand, in US $ terms the best bet seems to be an a-b-c down, followed by an a-b-c up which cannot anymore morph into a 5-wave structure as there is already overlap. Which one is correct? We will know soon. P.S. It just occurred to me that there is a way to resolve the above dilemma or contradiction and that would be to assume that the stock is making a triangle. In C$ terms it would be an irregular triangle and in US$ terms a normal triangle. 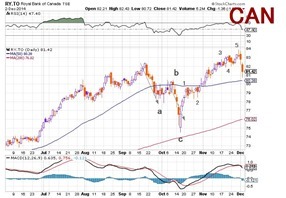 Even then the last up move in C$ terms must be 3-waves which it does not appear to be.